Video links for ORCA Media/CCTV coverage of Committee hearings – testimony and debate – for S.68 of the 2019-2020 Session. 1. Senate Committee on Government Operations. S.68 – Indigenous People’s Day. Recorded February 28, 2019. 2. House Committee on General, Military, and Civil Affairs. S.68 Indigenous Peoples’ Day recorded April 10, 2019. From the YouTube channel of the “Year of Indigenous Peoples of the Americas” Cultural Initiative, a program of SUNY Empire State College. For this new virtual residency curriculum, a series of videos has been created with indigenous culture keepers sharing various aspects of their people’s understandings. In this production, S8gm8 Roger Longtoe Sheehan speaks about the Abenaki relationship with the land and rivers of Ndakinna, and how these interactions take place within their worldview. The interview took place in June, 2018 at the Abenaki Heritage Weekend annual event at Lake Champlain Maritime Museum. By request of Vera Longtoe Sheehan, a co-producer of the film, I contributed some still photography from Kchi Pontekw/Bellows Falls, VT for the video. On January 13, 2019 I was invited by Emily McAdoo, board member, to present at the Putney Mountain Association‘s annual meeting, held at the Putney Community Center on Christian Square. About 100 people attended – PMA members and the general public – and we discussed a Native relationship with place, in this case, of course, Putney Mountain itself. Russ Grabiec from Brattleboro Community Television (BCTV) was there and he graciously filmed the proceedings. This is the first time I’ve used slides throughout to accompany the narrative, and it seemed to be quite helpful. The audio is a little echo-y, due to the large space, but the gist is apparent. Link to listing on BCTV’s site. Niswak k8kwak – two porcupines. 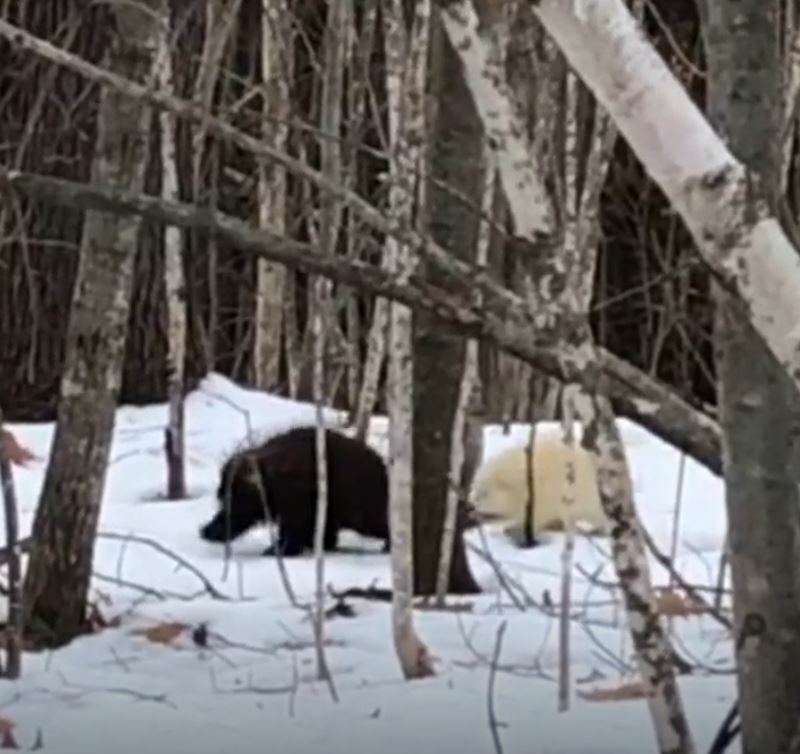 Pazgo k8gw mkazid ta pazgo w8bigid – One black porcupine and one white. The pure, simple song of the white-throated sparrow reminds us of the conversations to be joined outside of our own minds. This was going to be a post observing #NationalBirdDay, then realized it was a rather ludicrous construct. So, I will let sparrow speak for himself. In English, the song is often described as “Old Sam Peabody, Peabody, Peabody” or, if you are a little further north, “Oh Sweet Canada, Canada, Canada.” I grew up having been taught and hearing the “Oh Sam Peabody” mnemonic. Many small birds are now known (in Western Abenaki) simply as “sipsis” (literally small bird), with no surviving differentiation between species. But a number of specific names have persisted into the present, mostly the more common and larger individuals such as crow, robin, blue jay, eagle, and turkey. I wondered if the #Abenaki had an onomatopoetic name for this little songster, a device often employed in the language, given that the song of the white throated sparrow is so memorable. To my joy, I was able to locate it! Father Rasles gives it as “sôhsohseli” – which I might rewrite as “s8soseli” pronounced sohn-SOH-seh-lee. It is a pretty good evocation of the song.